Many organizations have completed initial waves of virtualization to consolidate physical servers and some wonder “what’s next?”. “Should we wait for Cloud Computing or can we gain more value from virtualization?” This presentation will share Dell’s best practices for virtualizing x86 platforms to save CapEx and OpEx while increasing your organization’s agility. 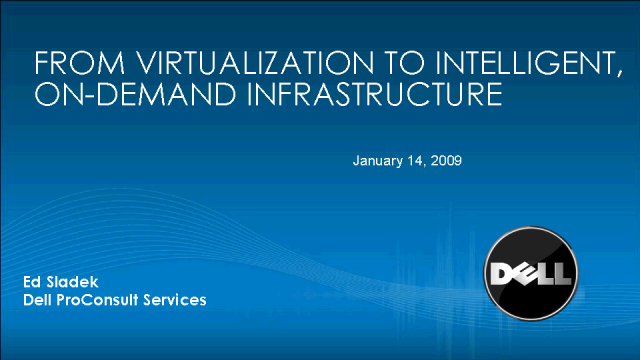 It provides insights on how to extend the life of, and potentially consolidate, your data centers through additional waves of virtualization. And, it can help you make the right decisions to get ready for your Cloud Computing future.